With its next quarterly earnings just a few days away, Yahoo! Inc. (NASDAQ:YHOO) is attracting a lot of speculations and some investors are considering it an excellent acquisition target provided the company decides to spin off its stakes in Alibaba Group Holding Ltd (NYSE:BABA). As of now, the American tech company owns 384 million shares of Alibaba Group Holding Ltd (NYSE:BABA) with current value of $40 billion. If Yahoo! Inc. (NASDAQ:YHOO) decides to spin off its Alibaba stake, it will become a potential acquisition target for companies like Softbank Corp (TYO:9984) and Tencent Holdings Ltd (HKG:0700) that are looking for ways to enter the American tech industry. For Softbank Corp (TYO:9984), acquiring Yahoo will help it increase its stake in Yahoo Japan. Yahoo! Inc.’s current state in Yahoo Japan is valued at $8 billion. In addition to these speculations, some experts think that the company might need more time to find a tax-efficient way for selling its stake in Alibaba Group Holding Ltd (NYSE:BABA) and Yahoo! 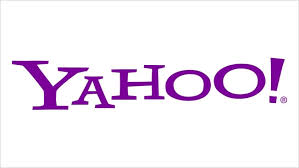 Inc. (NASDAQ:YHOO) is likely to provide an update instead of any definitive steps. Amid all of these discussions, Yahoo’s current business with a market valuation of $8 billion is undertaking steps to improve its revenue streams. The company acquired BrightRoll, which is known for its video advertising platform, for $640 million last year. It is important to consider that the video advertising industry is likely to generate revenues of $8 billion in 2015 with a huge list of advertisers.